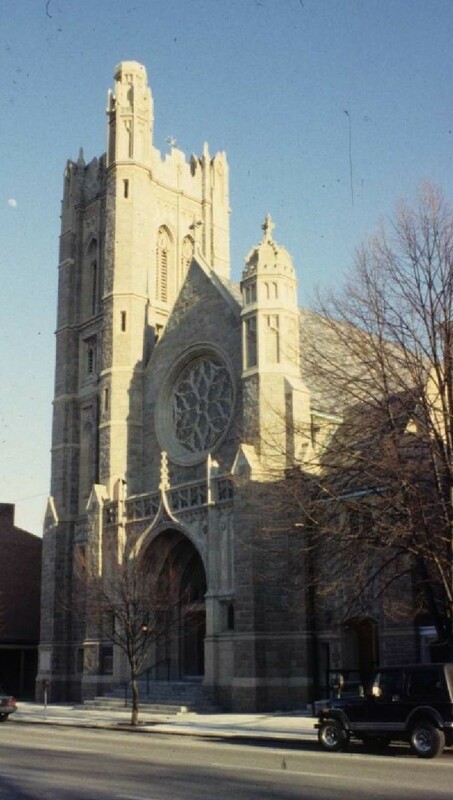 Many 19th and early 20th century churches are designed in popular architectural styles such as the Greek Revival, Gothic Revival or Romanesque Revival. 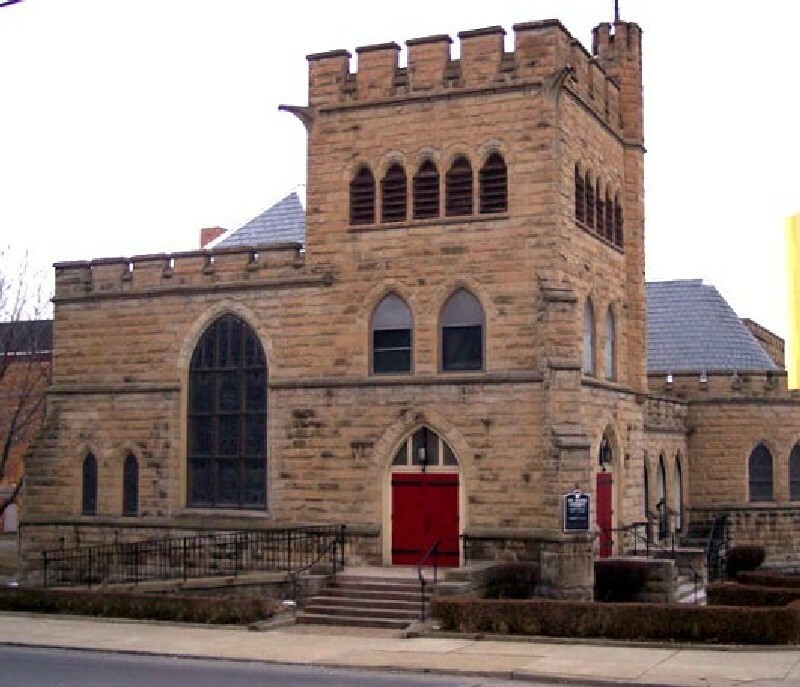 Early churches often took a more simple form and were sometimes designed to serve the needs of multiple congregations. In Pennsylvania's settlement period, simply designed log churches were built and often replaced with larger buildings of popular style as the congregation grew. Ethnic and cultural traditions led to the building of religious meetinghouses, most often associated with the Quakers, Mennonites and Church of the Bretheren, although other Protestant groups used this form as well. These more simple undetailed buildings were both culturally and religiously significant, reflecting the tenents of their faith in their unadorned interiors. 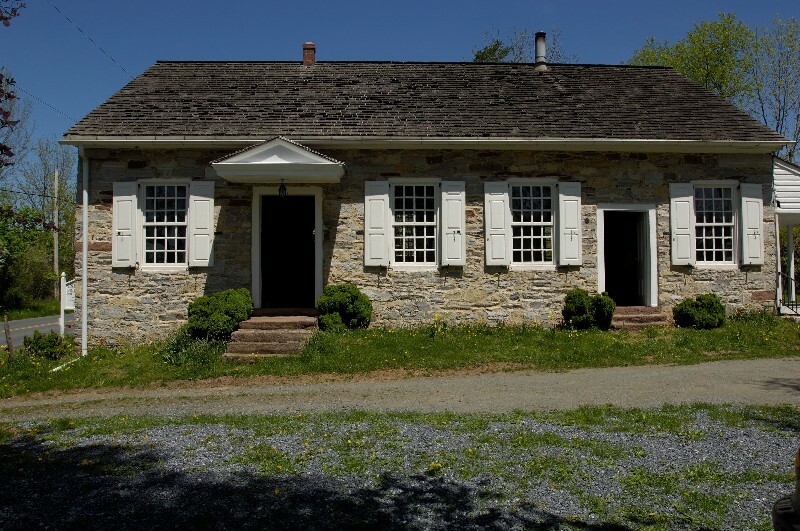 While few of those early log churches survive, many good examples of the meetinghouse form remain and continue to be built, especially in south eastern Pennsylvania. Usually one story in height, with a front facing gable, meetinghouses often feature two adjacent front doors. Historic Jewish temples, reflecting Jewish settlement and population growth patterns appear accross the state. Like the buildings of other religious denominations, early Jewish temples were of simpler, less formally designed traditional appearance and later buildings were of more distinctive popular styles like the Greek or Roman Revival or Exotic Moorish Revival. In the late 19th and early 20th century, Eastern Europeans of the Byzantine or Greek Orthodox Church built distinctive onion-domed churches decorated with richly detailed mosaics, again reflecting the traditions of their homeland. While all religions share the same general purpose, to provide one framework for understanding the world and humanity’s place within it, they each approach that purpose in different ways. While Buddhism stresses meditation and reflection as a means to achieve Enlightenment, many sects of Christianity focus on developing a personal relationship with God through Jesus Christ. Even within closely-related religions, there can be vast differences. For example, Judaism, Christianity, and Islam all worship the same God, but they each do it in different ways; even the different sects of Christianity worship in different ways. These differences, whether large or small, are reflected in the built environment. There is a reason why there are two separate seating areas in Orthodox synagogues. There is a reason why every mosque faces the same direction. There is a reason why cushions in a Buddhist center are arranged in a certain way. What follows is a brief description of the ways in which theology is reflected in the architecture and arrangement of space of sacred resources. Since their founding, many religious groups have been concerned not only with their members' spiritual well-being, but also with their members' mental and physical well-being. The latter, more secular concerns can be seen in Catholic primary and secondary schools, Quaker academies, religious hospitals, Jewish community centers, orphanages, old age homes, and so forth. The connection of these secular institutions to a particular denomination or sect is not necessarily readily apparent from exterior or interior finishes. While there may be some exterior detailing (such as a cross or Star of David or crescent) or interior finishes or spaces (such as a chapel or synagogue), the function of these institutions generally dictated their architectural form. In fact, religious groups sometimes adaptively re-used older buildings to serve their purposes. Because of the importance of function, more in-depth research may be required to establish a link to a specific denomination. What follows is a brief description of several (not necessarily all) social issues with which religion has been concerned in the past.